SlashFilm just posted a new interview with Chris Columbus where the original Gremlins writer confirms he has completed the latest Gremlins 3 script, which may center on trying to kill the adorable Gizmo in order to save humanity from the Gremlins he’s capable of unleashing! 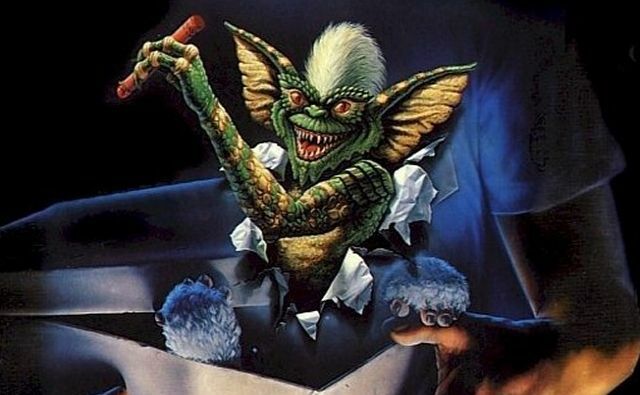 Warner Bros. previously hired screenwriter Carl Ellsworth (The Last House on the Left, Red Dawn, Disturbia) to pen Gremlins 3, which started life as a reboot before Columbus turned it into a direct sequel. Columbus also assured fans the creatures will still be puppets this time. “Oh, withou/t a doubt, minimal CGI,” Columbus promised. “CGI will enable us to remove wires and make the puppeteers’ lives a little easier. Another film in the fan-favorite franchise has been on and off in development for years, with a previous draft being written by Seth Grahame-Smith (Abrahama Lincoln: Vampire Hunter), but as of yet nothing has materialized. Columbus was previously in talks to direct, but instead will just produce along with the original film’s executive producer, Steven Spielberg. The original 1984 classic Gremlins was directed by Joe Dante and has become infamous for being one of the films “responsible” for the creation of the MPAA’s PG-13 rating. It also became a box office smash, bringing in over $150 million domestically and making way for a sequel, Gremlins 2: The New Batch. A farcical meta-take on the mischievous creatures, the sequel didn’t replicate the box office success of its predecessor but has managed to garner a cult following.